Running a club event is no walk in the park – especially for volunteers. Selling event tickets in particular can be very time consuming. Handing out paper tickets, taking phone calls and cash payments or collecting member/guest information on paper forms – it can seem all too overwhelming at times. Luckily, TryBooking provides sports clubs across Australia with a better alternative. If you are a club volunteer who thinks time is precious and who would rather spend less effort on event administration, TryBooking is the ideal solution for you. 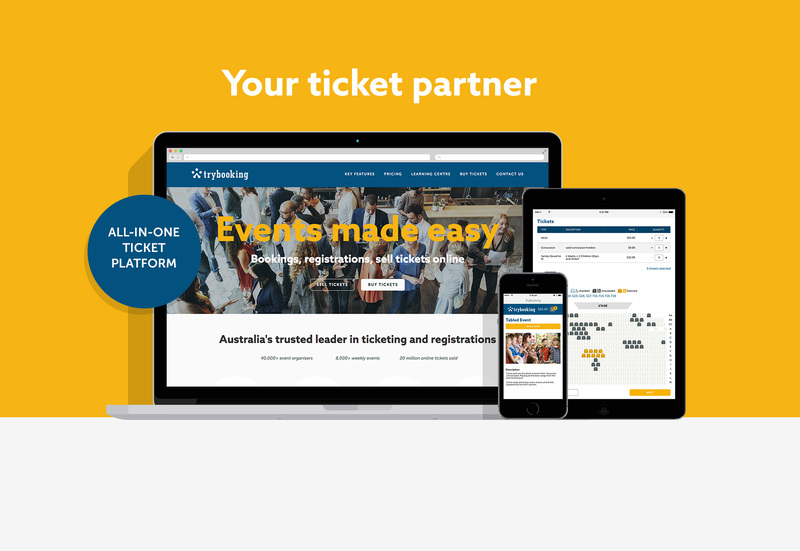 TryBooking is Australia’s leading event ticketing, bookings and registrations platform and is built for the community. The easy-to-use platform will make managing your event simple, easily accessible and much faster for volunteers. On TryBooking you can create, manage and start selling tickets for your event online in minutes. How​ ​does​ ​TryBooking​ ​help​ ​clubs? TryBooking takes away the bulk of the hard work when it comes to event ticketing for your sports club. You will no longer have to run around collecting money, handing out tickets in person, replacing lost tickets or collecting paperwork on numbers and dietary information. Create and customise your event in minutes. Use your event’s unique URL to share to members, supporters and the wider community. Sell tickets and take online payments, bookings, registrations, uniforms and donations around the clock. Collect key information from members, registrants and guests such as dietary requirements in a secure environment online. The free TryBooking Scanning App to help you easily manage entries on the day. Printable reports that help you track the money raised and plan your next event. Simply send your TryBooking event URL to your supporters so they can book tickets or seats online. They are then emailed their tickets which they can print or display on their phone. It’s that easy! 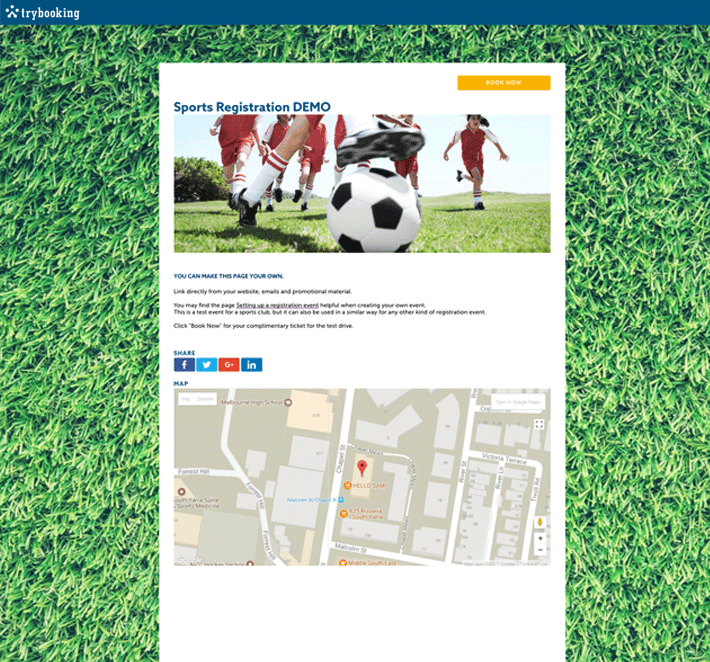 TryBooking have been helping Australian sports clubs to streamline their events for the past 10+ years. They have a local support team who are dedicated to making your event a success. How much does Trybooking Cost?? Patrons pay just 30 cents per ticket purchased. You, the event organiser, pay a processing fee of 2.1% plus 50 cents per transaction. There are no other costs. TryBooking do not charge set up costs, minimum sales, subscription fees or premiums. They are also completely free to use for free events. Create your club's next event today!